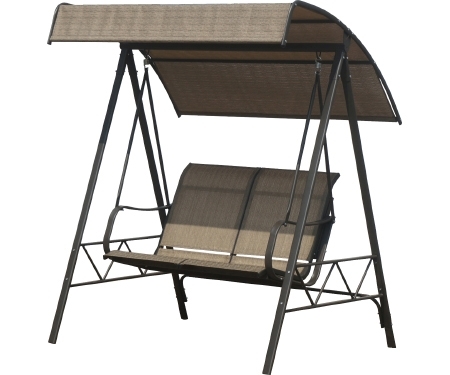 Umbrella base for up to a 10' H umbrella, or a 2" diameter pole. Adjustable pin for securing pole. 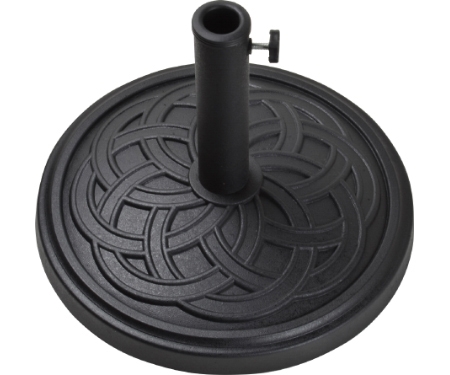 Made of Envirostone (crushed stone/resin composite) that is 100% rustproof so it won't stain your deck or patio and features a lovely Celtic knot design. 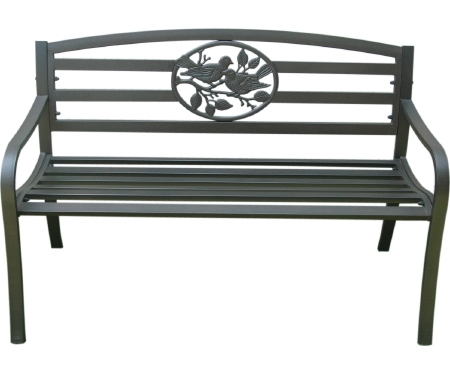 This park bench features a stunning bird motif and is constructed of sturdy steel that is powder coated for added durability in a lovely black finish to complement any decor! 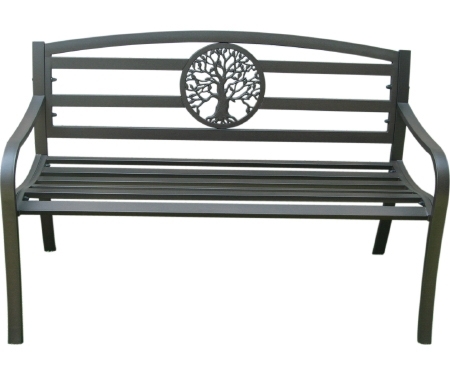 This park bench features a stunning tree motif and is constructed of sturdy steel that is powder coated for added durability in a lovely black finish to complement any decor! 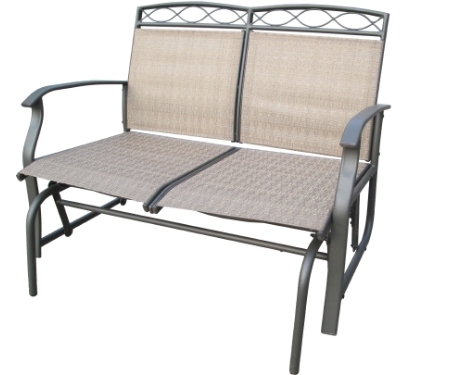 Stylish and comfortable glider loveseat with brown powder-coated steel frames and complementary tan slings to fit any patio decor. 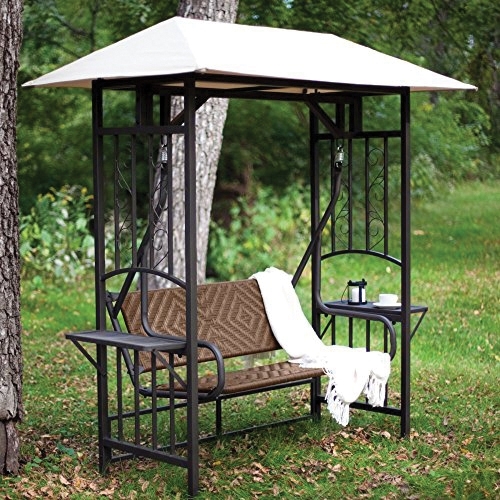 While the time away in comfort and stay out of direct sunlight while sitting on this canopied two-seater swing made of powder-coated steel with easy-to-clean, tan Textilene sling seat and canopy. 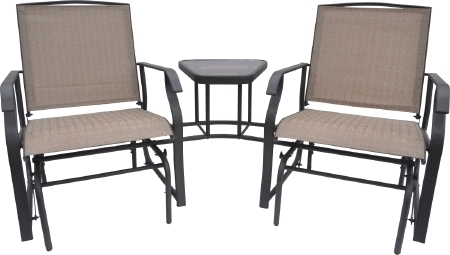 The 3-piece set includes 2 stationary chairs and 1 side table with heavy-duty steel frames fully wrapped with a natural driftwood color resin in an attractive weave pattern. Accented with lime plush, poly fiber and foam seat cushions. The table top features tempered glass for safety. 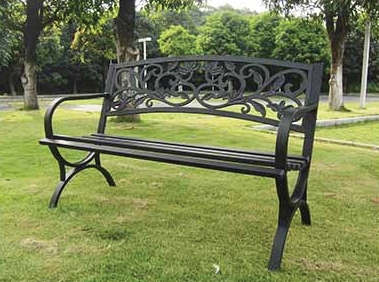 The frames are powder coated for lasting durability. 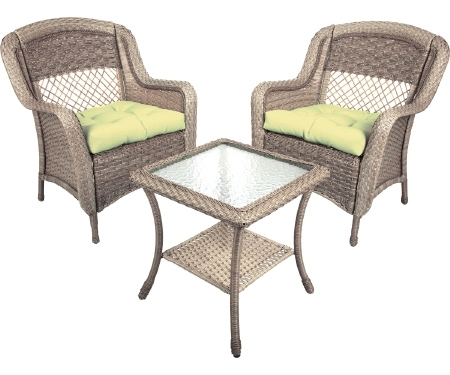 Resin wicker seating group includes 2 swivel glider chairs and a side table made of steel and wicker. 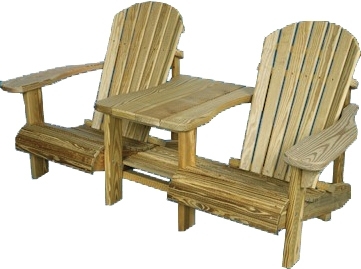 The chairs come with comfortable 4" thick cushions covered in a neutral light brown material that will compliment any decor. 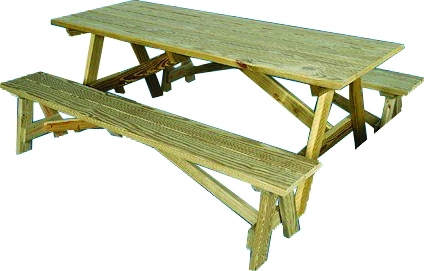 The table has a resin wicker top. 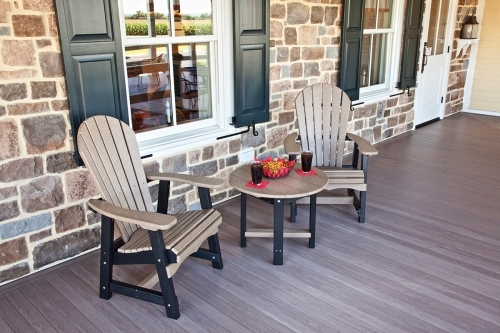 2 glider chairs attached to a temperred top glass table. 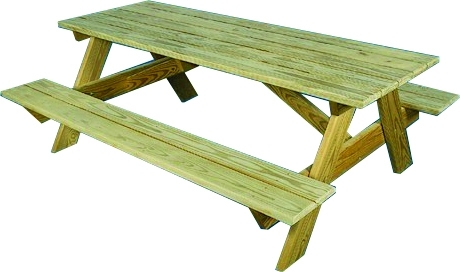 Picnic Table with separate benches 6' 6"